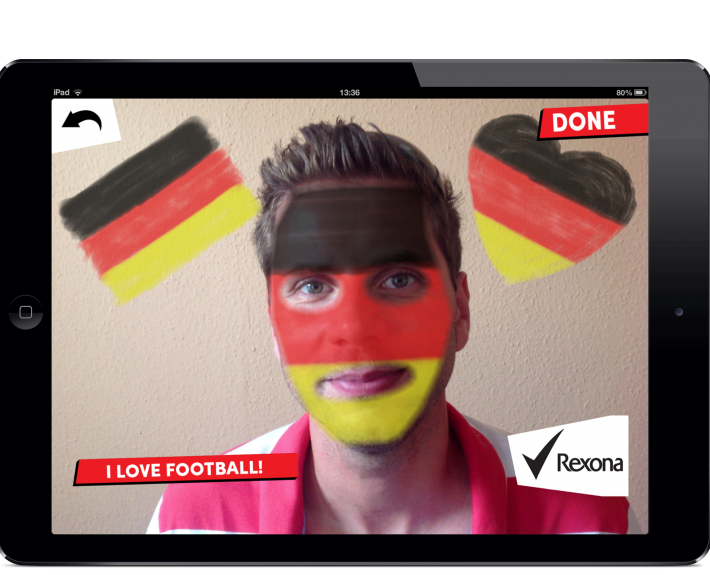 Unilever’s Rexona wanted to give their customers the possibility to attach more strongly to their national sport teams showing another aspect of their #domore message. 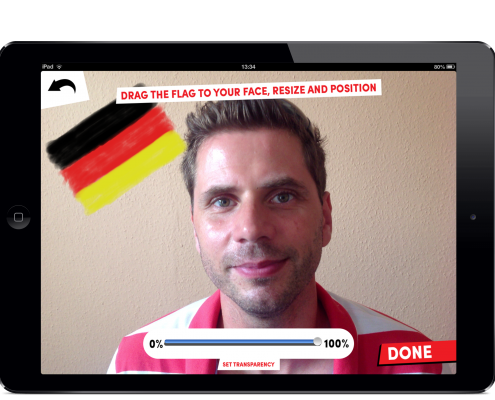 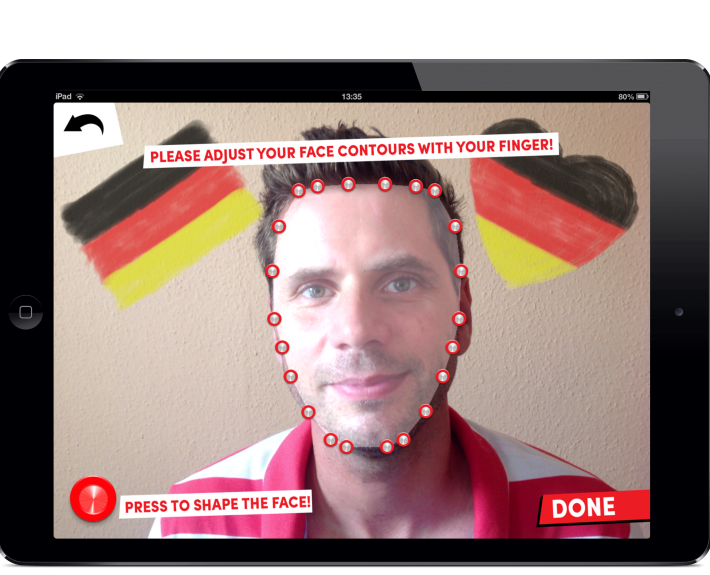 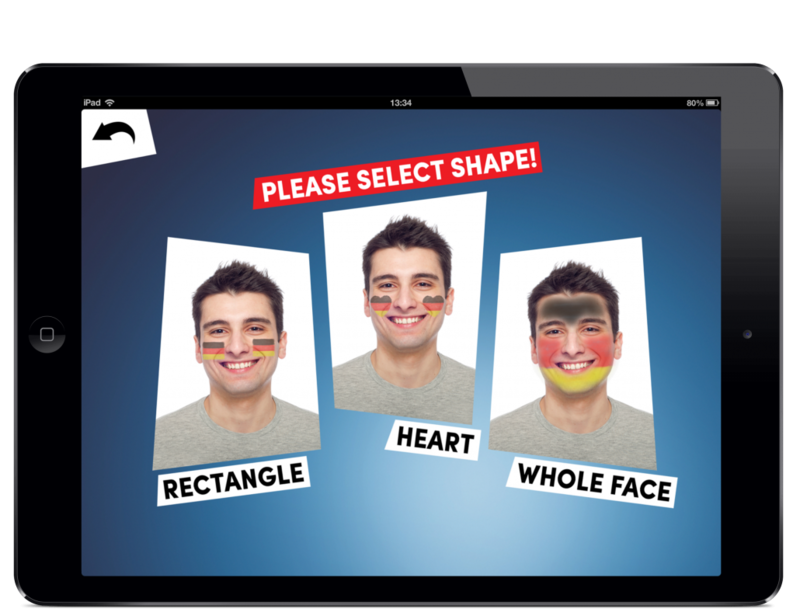 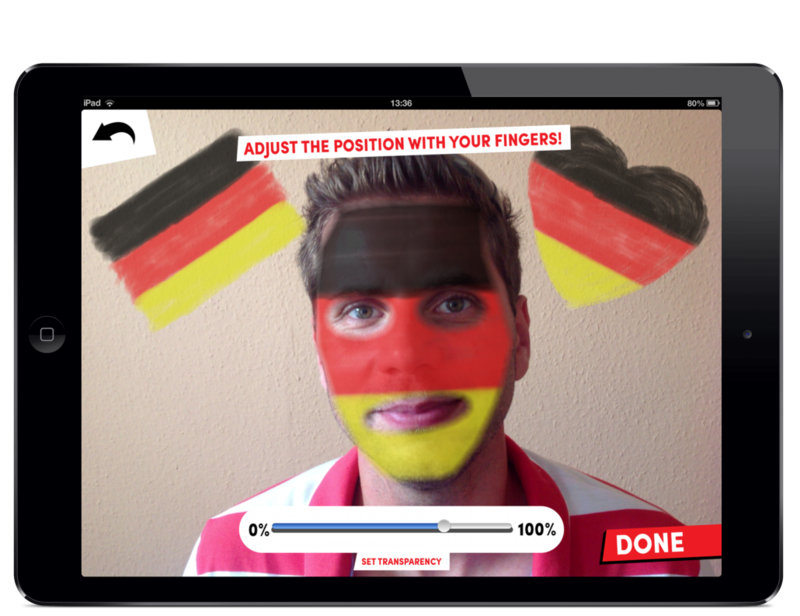 Among other concepts we’ve recommended an application for tablets which makes it possible to virtually paint your face with the colours of your favourite teams. 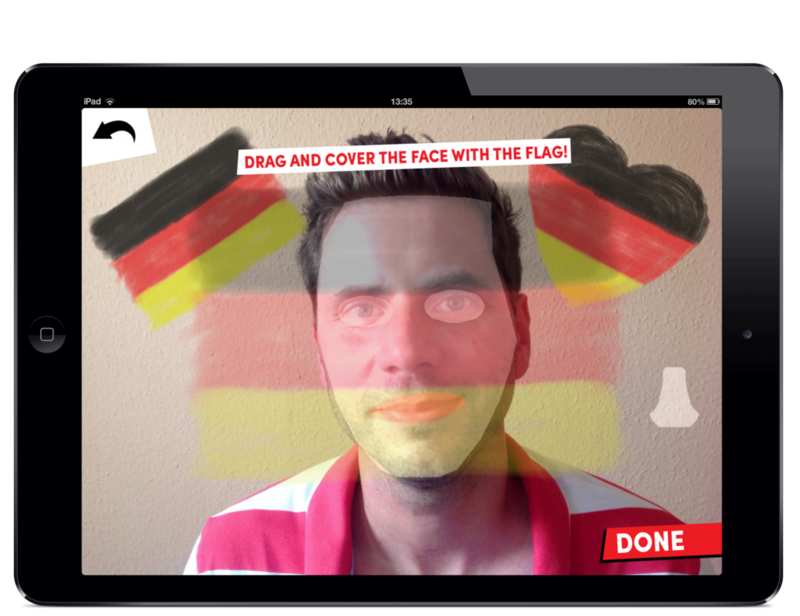 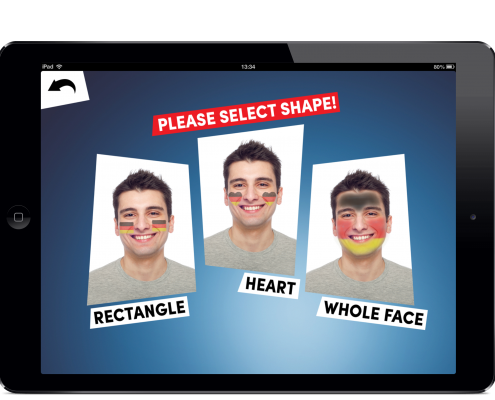 The process is very simple – make a photo of yourself, select the country you’re supporting, choose the motive/shape you want to add to your face – let it be a heart a flag or a full face paint. Then place, rotate and scale it -and you have a couple of finetuning possibilities as well. 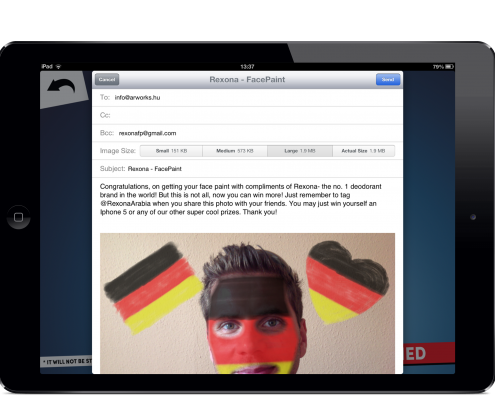 Finally select your headline and insert it to the photo – and you’re ready with your perfectly painted fan image. Share it, print it, send it to anybody. 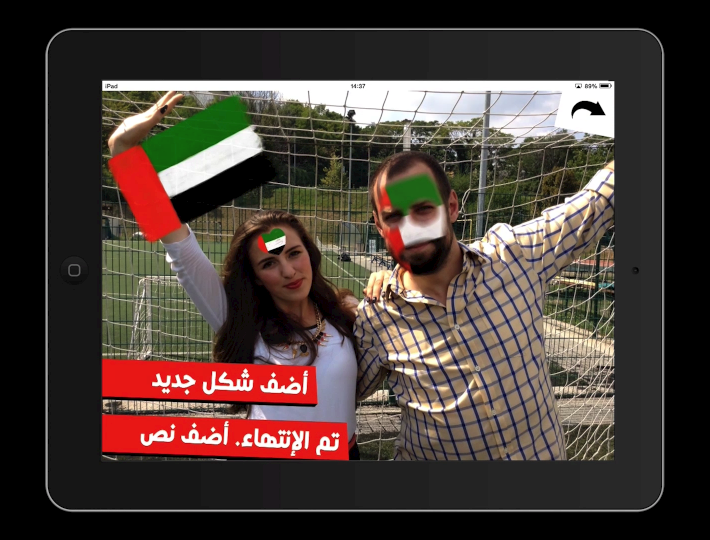 The app with two language variations (Arabic and English) is used in an activation so its not yet available publicly from the app store.